Hey, you! Yeah, I'm talking to you! Are you a power house innovator with creativity and confidence!? 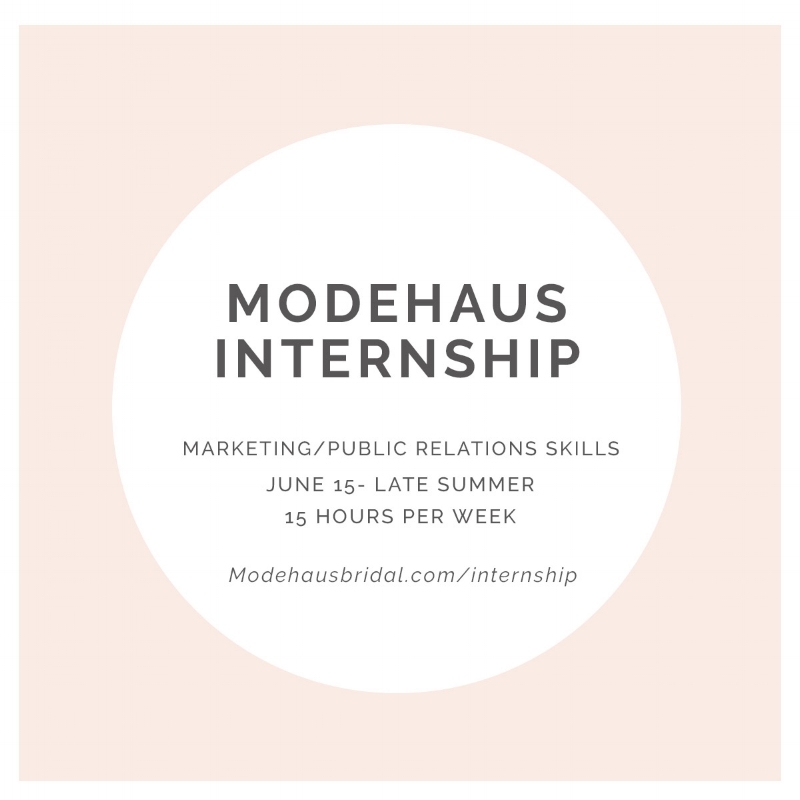 Do you love details, marketing campaigns, and have a flare for fashion? Or how about floors full of thread bits, bra cups, and eight foot bridal trains? Well, I have FRONT PAGE news for you! We are looking for someone just like you to join our team this summer! What will you be doing? With flexible hours (between 15-20 per week), you'll be implementing our social media campaigns and strategies, assisting with our fall marketing campaign, researching local and wholesale markets, and coordinating styled shoots and events. Experience with marketing and public relations preferred or enrollment in marketing/communications related major at a college or university. This is an unpaid position. It’s so great to hear from you! Remember to send your resume to hello@modehausbridal.com. Thank you for your interest in the internship position!